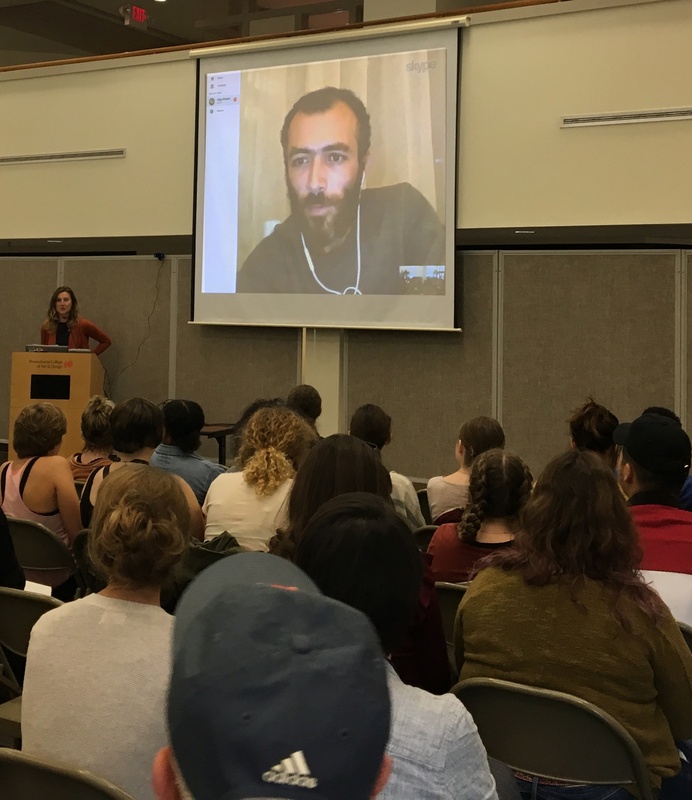 Internationally renowned Azerbaijani artist Faig Ahmed spoke to students, faculty and community members at Pennsylvania College of Art and Design via Skype from Dubai today, about why he uses carpets as the basis of his art. Since he was young, Ahmed had been struck by the nature of traditional carpets of his homeland Azerbaijan. 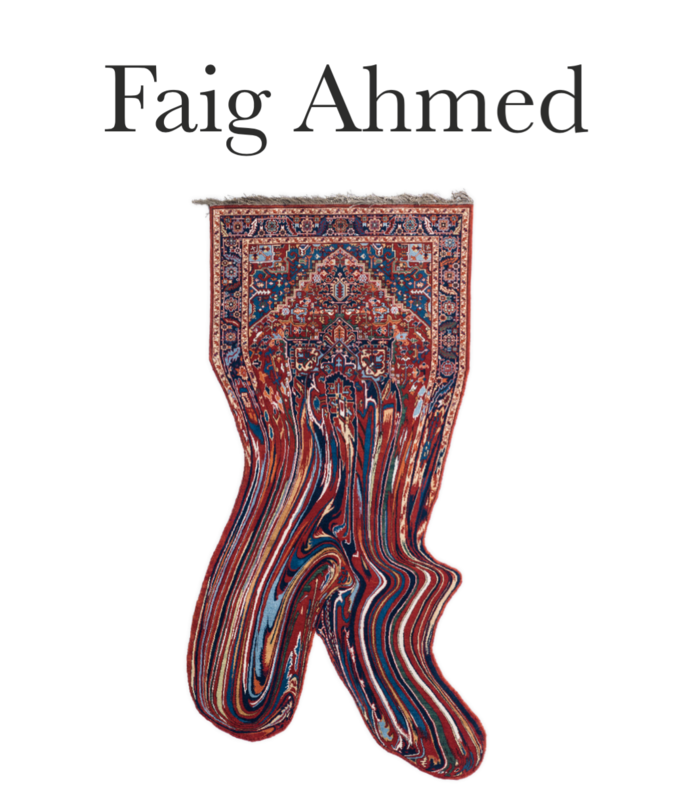 According to Ahmed, studied the carpets and learned, throughout his county’s history, starting with the Zoroastrians several thousands of years ago, then Christianity, then Islam, then communism, and now secular society, and the carpets, and the patterns in them, were the same. The carpet connected all these cultures. His carpet works became a metaphor and part of his spiritual path. Like a carpet, he said, life has real borders: life and death. "The top part is what we know well and understand. The bottom is the same, same colors, same weaving, but it is different and takes another form." Ahmed is among a new wave of contemporary creatives expanding the conventional notion of craft. Ahmed is best known for utilizing the traditional decorative craft of carpet-making to create contemporary sculptural works of art. He explores fresh new visual forms that challenge our perception of traditions through iconic cultural objects. By expanding the notion of what these traditionally crafted works of art look like, Faig suggests new ideas about the nature of reality and the limits of human perception. Through his work the observer understands the tension between the stability of traditional carpet designs and the rigidity of our perceptions. Ahmed’s creative skills not only rest in craft but span varied mediums such as installation, video, and embroidery, all of which can be seen in his solo exhibition at PCA&D. Through these differing mediums he expands his exploration to themes such as social rites of passage, human equitability and commercialization of art. Ahmed's carpets and other art works are on exhibit in the PCA&D Main Gallery through September 22.